Captain Terry (Stoney) Burke joined the Royal Canadian Regiment in October 1964. He completed basic recruit training at the Regimental Depot, in Wolseley Barracks, in London, Ontario. 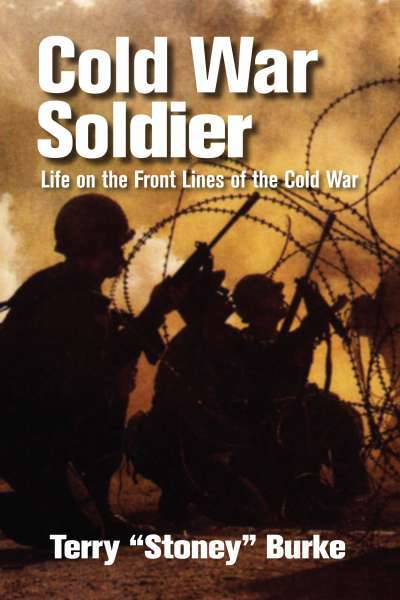 In October 1965, he was posted to the Second Battalion of the RCR, in Fort York, West Germany, where he became a member of the Assault Pioneer Platoon. 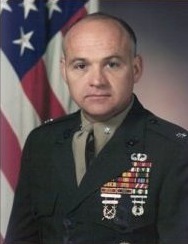 Over the next three years he completed the Junior NCO Course and was promoted Corporal in December of 1968. In November of 1969 he returned to 1RCR in London, Ontario. 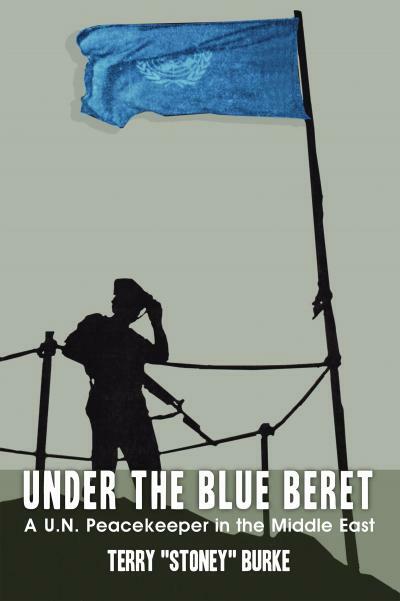 In March of 1970 he completed his first tour with the United Nations Force, in Cyprus. 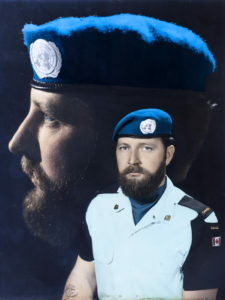 Two days after returning from Cyprus, in October 1970, he along with his entire battalion, were sent to Quebec, to perform security duties, during the FLQ Crisis. In 1973 he was promoted to Master Corporal and completed both the Advanced Pioneer and Small Arms Courses, in Gagetown, New Brunswick. 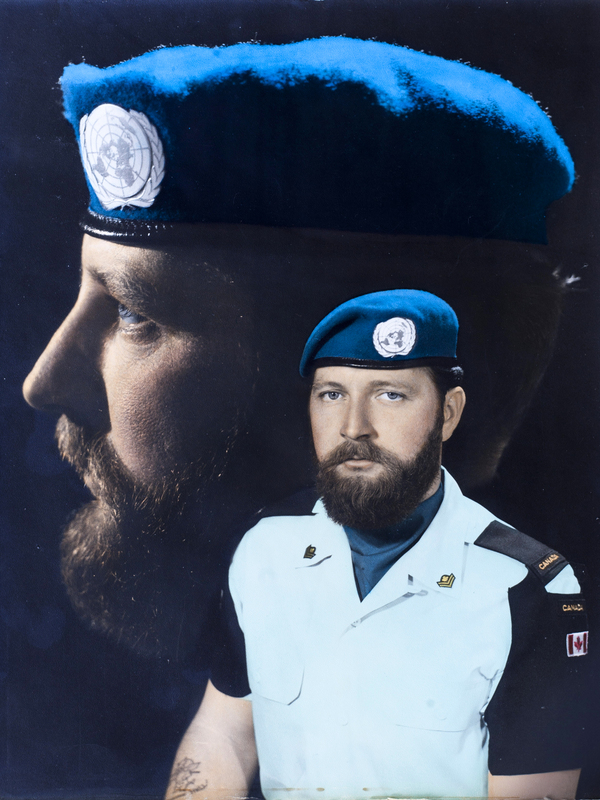 In June of 1974, he was an instructor on Basic Officer Training in Shilo, Manitoba. That same year he completed his second UN tour, in Cyprus, after which he returned to London, as an instructor on the TQ 3 course. In 1976 he was a member of the security force for the Montreal Olympics and was promoted to the rank of Sergeant shortly thereafter. In 1977 he was posted to Baden, West Germany, as a member of 3 Mech Commando, which later became 3RCR. The following year he returned to Canada to complete both the Senior Leaders and TQ6B courses and was promoted to Warrant Officer in 1979. Over the course of the next three years, in Baden, West Germany he went from Infantry Platoon WO, to Detachment Commander in Anti-Tank Platoon, to CQ of Battalion Headquarters. He also completed all the requirements to receive his Grade 13 Ontario High School Diploma. In 1982, he was posted to Gagetown, NB, where he became the CQ of Lima Company, 2RCR. Within a couple of months he was Commissioned from the Ranks and became a Lieutenant and the Battalion Transport Officer. 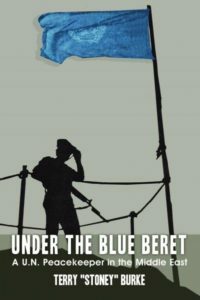 In the fall of 1983 he completed his third and last tour of duty with the UN Force in Cyprus. In 1984 he was posted to The Brockville Rifles, as the Regular Force Support Officer and promoted to the rank of Captain soon after that. 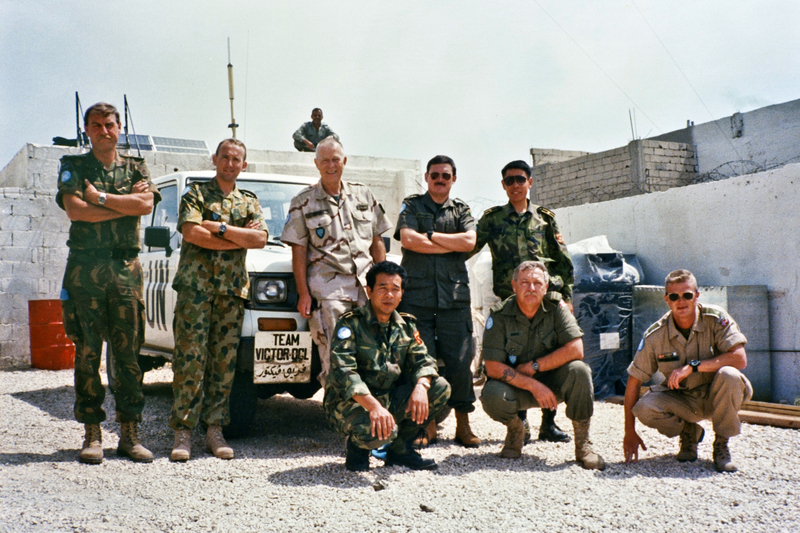 In 1987 he completed the Para Course, in Edmonton and soon after was posted to the UN Truce Supervisory Organization. Over the next two years, he was employed as a Military Observer, in Israel, Syria and Lebanon. In 1990 he returned to Canada and became the Chief Standards Officer for all Army Reserve courses, in South Western Ontario. 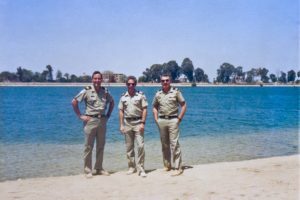 In 1996, he returned to UN duty in the Middle East, as an observer with the UN station in Damascus Syria and later on, as a Patrol Commander in South Lebanon. In 1999, he retired from the Regular Force and joined 4RCR, in London. For the next eight years he was the Standards Officer for the Land Force Central Area Training Centre, in Meaford, Ontario. In 2007, he retired from the Reserves, having served a total on 43 years, in the Canadian Armed Forces. Since retirement, he has written two books, based upon his experiences in Europe and the Middle East. He is currently completing a third book, which he hope to have published by the end of 2016. Terry Burke serves as a Royal Canadian Regiment Master Corporal in Cyprus in 1974. 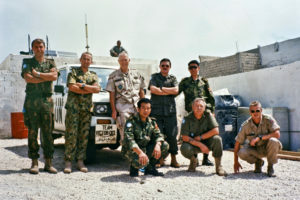 Capt ‘Stoney’ Burke and his Patrol Team South Lebanon. (Note all the different nationalities. Left to right standing- New Zealand, Australia, Netherlands, Ireland, China.) Kneeling L to R- China, Canada, Norway. Photo 1 – Left to right- Captain Don Millwater, Major Mike Titus and myself standing on the bank of the Suez Canal.